The English rock band the SMALL FACES were active from 1965 to 1969. 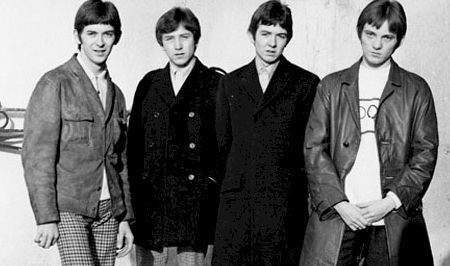 Small Faces were part of the Mod revolution of the 1960s and their sounds continued to inspire artists such as Paul Weller and Noel Gallagher well into the 21st Century. The band consisted of East London lads Kenney Jones, Ronnie Lane, Steve Marriott and Ian McLagan [he replaced Jimmy Winston on keys] and were signed to the “Immediate” label by Rolling Stones manager Andrew Loog Oldham and they worked with Epsom producer / engineer Glyn Johns [ who also worked on the Beatles Get Back sessions ] at the Olympic Studios in Barnes. Their first “Immediate” single was the provocative “Here Come the Nice” — clearly influenced by drug use. At the same time, Decca Records released a re-recording of their classic and previous recordings on that label that were mainly R & B and soul hits. 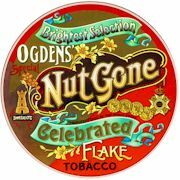 The band’s following single “Itchycoo Park” was released in August 1967 and is perhaps Small Faces’ best-remembered song and was also the first to chart in the U.S.
Their psychedelia-induced concept album “Ogden’s Nut Gone Flake” was released in May 1968 and is considered, by critics, to be one of the standout albums of the sixties. After the band break-up in 1968, prompted by Marriot’s departure to start up Humble Pie with Peter Frampton, the remaining members of the Small Faces — Jones, McLagan and Lane — joined forces with two former members of The Jeff Beck Group, singer Rod Stewart and guitarist Ronnie Wood. The line-up dropped the “Small” tag and became the world renowned Faces. Kenney Jones became the drummer of The Who after Keith Moon’s death in 1978 and continued to work with The Who through the late 1980s. He is now the owner of Hurtwood Park Polo Club, in Ewhurst, Surrey. Lane later formed his own band Slim Chance and died of progressive multiple sclerosis in Colorado in 1997. Marriott died in a fire at his home in 1991. Middlesex keyboard instrumentalist Ian McLagan died of a heart attack in December 2014 in Austin, Texas. Now you can see the story of how Smal Faces brought their vital proto-punk sounds to an excited 1960’s audience in the stage show — “ALL OR NOTHING” written by Carol Harrison and directed by Tony McHale.